The DSL was redesigned with mobile users in mind and is responsive to any device screen with familiar touch navigation. The map uses familiar mapping functions like dragging, zooming and selecting a map entry for more information. Users can redo searches in new areas and rest the map to their current location. Plus, hovering in the results pane highlights the dive shop flag for that particular dive center on the map as a visual indicator of its location. Premium upgrade listings are given higher priority in searches and are shown at the top of search results. These listings also provide a more detailed dive shop profile and display the dive store’s logo. Plus, you can now list the courses available at your dive center by editing the account tab under Premium Listing at the PADI Pros’ Site. Sponsored Ads are now displayed with a yellow border in the results pane and yellow dive flag in the map area. As of 1st January 2019, advertisement display order will be randomized, which means anyone may be at the top of the results. While all dive centers and resorts are shown in an unfiltered search, Five Star and Premium listings are given weighted priority. There are numerous filters available but to improve search results, dive centers can purchase a Premium Listing or Sponsored Ad or upgrade to a Five Star membership level. The weighting system is a balance of Five Star status, Premium Listing status, distance from center and search keywords. Check out the improved PADI Dive Shop Locator today and be sure to provide your comments by using the feedback button. Before conducting any PADI® course in water activities, you must make sure student divers complete required administrative forms, such as PADI Release of Liability/Assumption of Risk/ Non-agency Acknowledgment Form – General Training or PADI Statement of Risk and Liability/Non-agency Acknowledgment Form – General Training, EU Version, the PADI Standard Safe Diving Practices Statement of Understanding and the PADI Medical Statement (RSTC Medical form). Now, you can get this “paperwork” done efficiently online and manage it all in the PADI Online Processing Center (OLPC). When a customer signs up for a PADI course, the dive center/resort or instructor uses the OLPC to send a digital invitation to the student to set up an account to receive digital forms and/ or an eLearning code. The student then receives the appropriate forms package for the course. This initial connection is a two-step process. OLPC 2.0, the current OLPC without the digital forms option. Use 2.0 while you get comfortable with OLPC 3.0, or for processing non-English speaking students until digital forms become available in other languages. OLPC 3.0, which has the new digital forms packages. In OLPC 3.0, go to Assign Codes, choose the eLearning code you want and whether you want to send digital forms. Step 2: There are currently forms packages for: Scuba Diver, Open Water Diver, Advanced Open Water Diver, Rescue Diver, Specialty Diver, and Other Courses. If you select any of the first five, you finish Step 2 by simply clicking Send Forms and then Confirm. The digital forms packages are not available for all courses, yet, so if you selected Other Courses in Step 1, a drop-down menu appears with all other PADI courses. Choose the course you’re teaching, and Step 2 will default to select the No Forms option for you to Confirm – by selecting this option, the student must complete paper versions of the required forms. First Name, Last Name, Course, Created Date, Forms, Action Date, and a column for Process or Manage. Pay special attention to the Forms column. There, you will see a word or phrase, conveniently color coded, which describes what step of the process the student is in. Green means complete; orange and red require action. If the student filled out all the information and digitally signed the required forms – in essence pre-populating the Positive Identification Certification (PIC) – with no need to have a physician sign the Medical Statement, you will see a green box with “Signed.” This indicates that the student is ready to be processed once all training is complete. Waiver: The PADI Pro sent an invitation for the student to use digital forms, then the PADI Pro changed it to use paper, not digital, forms. No Forms: The PADI Pro opted to use paper instead of digital forms when sending the invitation. Email Sent: Digital forms have been sent to the student, but no action yet taken by the student. Declined: The student received the digital forms, but declined to sign them. The PADI Pro contacts the student to find out what happened, and can then opt to change to paper forms, or resend the digital forms to the student. Clearance Required: The student has answered “yes” to one or more medical statement question and must be cleared to dive by a physician. The Process option allows you to complete your student processing as usual with certification card processing. The Manage option provides several options depending on the student’s status including Update, Upload/Clear for Primary Medical, and even Re-send Email. If a dive center or resort has its own forms for certain activities, those can be scanned and uploaded using the option labeled Add/Delete Additional Documents. Additional languages are being developed for release soon. Until other languages are added, Members using non-English forms will continue to use OLPC 2.0. Stay tuned for more updates on digital forms in OLPC 3.0 and for other features as they are added. New PADI digital forms are convenient and time-saving. You continue to have a paper option using printed forms or those on the PADI Student Record File. Add links to your website and automatically affiliate Touch or eLearning students with your store so you generate revenue around the clock. Use the link below and plug in your store number along with the corresponding Course ID. For landing pages to display in a particular language you can add the Language Code below. Also, make sure you check your “Courses Offered” preferences under the My Account section on the PADI Pros’ Site so you are able to utilize the corresponding affiliation links. If the proper courses are not set up in the Pros’ Site your store will not be auto-affiliated. Note: If you have existing eLearning affiliation links installed on your website, these will continue to work. 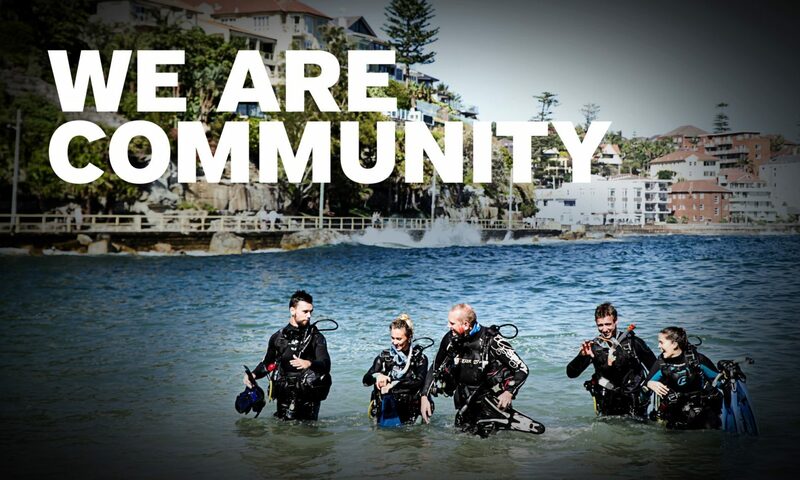 If you have any general questions regarding PADI eLearning or Touch please contact PADI Customer Service customerservice.ap@padi.com or call +61 2 9454 2888, for marketing support contact marketing@padi.com.au or for sales enquiries contact padisales@padi.com.au. LIVE NOW…..PADI Adventures in Diving & Rescue Diver Courses have gone DIGITAL! Do you teach French or German speaking Students? Then this is for you! With a growing trend of consumers moving towards mobile devices and interactive displays, it was only natural for PADI to continue to lead the way in technological advancements within the dive industry. Our Touch and Lite Digital Certification Paks are now available in both French and German and the exciting news is that there will be many more languages coming out soon. PADI Members can purchase it via PADI Sales Consultants or the Online Shopping Cart. This is only necessary for the initial download to the PADI Library App, to access the online eBook, to submit Knowledge Reviews and to Log Training Dives on ScubaEarth. Find out everything you need to know about recently launched Digital Certification Pak, PADI Apps, & Touch Products. To purchase this product or to find out more – emailpadisales@padi.com.au or call +61 2 9454 2888.